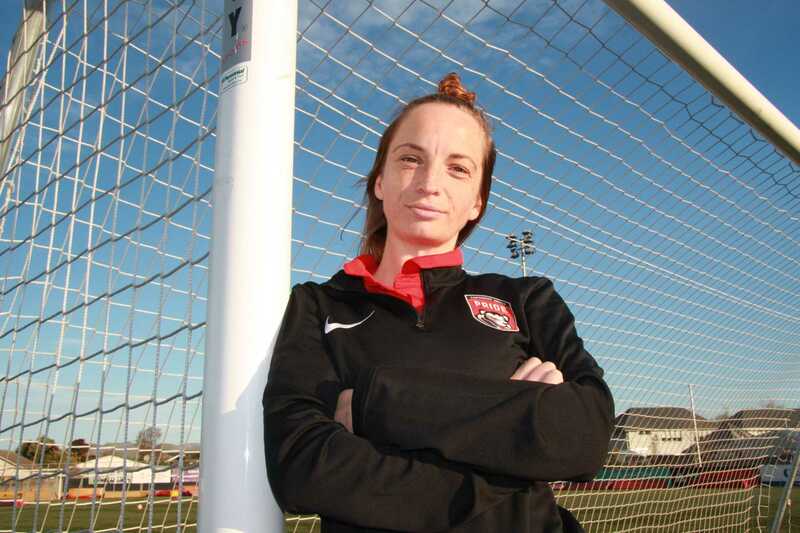 It's been another great week for women’s football in the Mainland region with the news that Canterbury United Pride head coach Alana Gunn has been awarded her OFC/NZF B coaching licence. The new Canterbury Pride head coach has been working towards the coaching licence since 2015 and is now qualified to coach at the National Women’s League level and eligible to work towards her A licence which would allow her to coach professionally overseas. Gunn is gracious for the support she has recieved throughout the process and the opportunities she has had to try things her own way. Gunn began coaching with Coastal Spirit in 2012 under the then women’s head coach Gareth Turnbull. She took over the head coach role in 2013 winning the New Zealand Knockout cup that year, as well as four league titles and four Reta Fitzpatrick Cup titles in the following four years. She has also coached the Pride academy youth team and still currently coaches the New Zealand Women’s Secondary Schools team and the St Andrews College women’s 1st 11. And despite Gunn’s strong CV, her focus is now firmly focused on the Mainland region. The achievement follows New Zealand Football’s announcement of the Female Coach Scholarship Programme last month where 21 coaches from across New Zealand were awarded funding to support their coaching development. Mainland Football women’s football development officer and pride captain Annalie Longo, one of the 21 recipients of the scholarship, said Gunn’s feat will inspire future female coaches to follow in her footsteps. “It is important to have female coaches to provide diversity in the coaching sector, Gunnie will provide a visible career pathway for females to enter the coaching profession. Mainland Football chief executive officer Julian Bowden said Gunn’s achievement is a prime example of the opportunities that are now available for girls and women who are interested in a career in coaching. Gunn will get her first opportunity to show off her latest coaching credential when she takes to the dugout for the Pride’s National Women’s League opener against Capital Football at English Park on September 16.